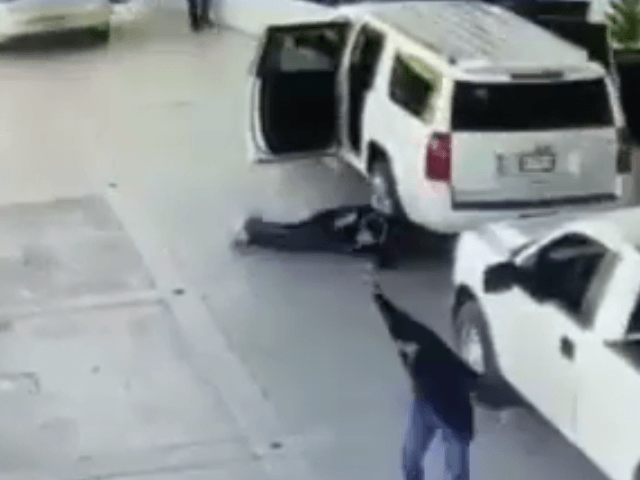 A brazen Mexican cartel attack on a businessman and his bodyguards occurred in front of a luxury hotel in Ensenada last week. Three were left wounded. The incident was caught on security camera footage. Ricardo Madrid Rivas, 35, was seriously wounded during an attack in front of the Hotel Lucerna in Ensenada, Baja California this past Thursday, according to local reporting. As Rivas was exiting his armored Chevrolet Suburban accompanied by at least two bodyguards, a white Volkswagen Golf GTI stops several feet nearby. Three cartel gunmen exit the Golf and immediately open fire. Rivas opens the rear driver’s side door immediately drops to the pavement. One bodyguard runs toward the main entry as he is reaching for his weapon and disappears inside the hotel lobby. The second bodyguard pulls out his firearm and runs away from the gunmen while firing back in their general direction. The second bodyguard positions himself behind a white truck and then directs fire toward the attackers until they get back into the Golf and flee. The cartel men were reportedly armed with handguns and a rifle. The victim’s Suburban sustained at least 13 bullet strikes to the open rear passenger door. Investigators later recovered more than 70 shell casing of various caliber. The attack lasted under 20 seconds. 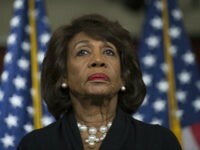 The state attorney general’s office later took control of the case. Authorities confirmed that the vehicle used by the cartel gunmen was recovered approximately one hour after the attack in the northern section of Ensenada, where it sat abandoned. Investigators of the ministerial police were tasked with processing the vehicle for evidence. Lucerna is a 4 to 5-star hotel with ocean views and is popular among American tourists, according to Expedia and others.